Chad Korth’s Nebraska farm mostly was unscathed from the catastrophic floods that inundated nearby fields thanks to being positioned atop a hill. But as the waters recede, he’s not expecting to be spared the financial blow that’s hitting the region. After bulging waters from the Elkhorn River took out bridges and roads, Korth — a third-generation farmer who raises corn, soybeans and cattle with his father in Meadow Grove — said he’ll have to chart out new courses to go buy equipment. Meanwhile, local corn prices have declined because the flooding forced Valero Energy Corp. to idle its 135 million-gallons-a-year ethanol plant in Albion. Annual demand from the mill is usually about 47 million bushels of corn. Already suffering from low crop prices and the U.S.-China trade war, nature has delivered yet another blow to the beleaguered American farmer. Growers in the heartland this year have seen arctic cold blasts, been blanketed by snow and just in the last week were ravaged by floods. Archer-Daniels-Midland Co., one of the world’s biggest agribusinesses, said March 25 that it expects weather disruptions to have a negative pretax operating profit impact of $50 million to $60 million for the first quarter. Korth said he fears the worst for local farmers, citing a friend who lost 85 cows to flooding and another who sells seeds and already has seen order cancellations. The flooding forced ADM to halt output at its Columbus, Neb.-based corn-processing plant because of washed out rail lines and roads. Meanwhile, Valero said because of the snarled transportation out of the Midwest, the Austin, Texas, market will begin sales of nonethanol-blended gasoline as of March 25. Flint Hills Resources is adjusting gasoline production to “make up for the loss of ethanol,” company spokeswoman Deanna Altenhoff said March 21. 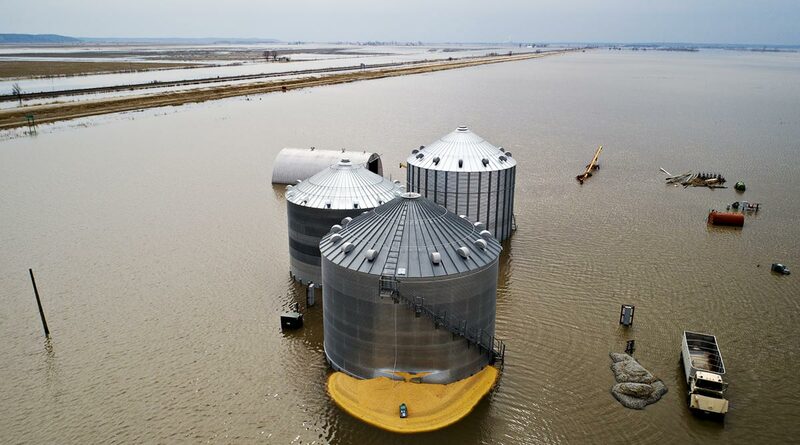 Cargill Inc. said that while all three of its Midwestern ethanol mills are operational, it also is seeing rail challenges because of flooding. On the Senate floor March 25, Chuck Grassley (R-Iowa) said that flooding has impacted about two-thirds of the state’s counties and that damages for agriculture are an estimated $214 million, so far. What’s more, the weather woes for farmers could extend into spring. Saturated soil in areas across the Midwest, northern Mississippi Delta and parts of the South may delay planting corn and soybean crops through the first two weeks of April, according to Dan Hicks, a meteorologist at Freese-Notis Weather in Des Moines, Iowa. The blow comes at a time when the agriculture economy is already deeply suffering. U.S. net farm income is projected to be $69.4 billion this year, or 44% below the record set in 2013. Growers have racked up debt amid a glut of crops as the trade war hurt demand. For Korth, there’s a disconnect when he hears people talking about the overall health of the American economy.